Bringing you the latest headlines. Dubai, United Arab Emirates – 22nd May 2012. 24 days, 4 Groups, 16 teams and millions and millions of soccer fans from around the world are all set to gather for one of the biggest sporting events of all time, the Euro 2012 Football Cup! While Poland and Greece are finalizing their lineups for the kickoff match of the cup scheduled for the 8th of June 2012, Kitsch Cupcakes, Dubai's first specialized cupcakes bar, is all set to take the field. 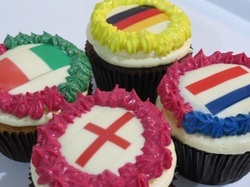 Kitsch Cupcakes will be introducing a wide array of football inspired cupcakes for the Euro 2012 fans in the UAE. “Euro 2012 is one of the biggest sporting events around the world and we thought we would offer football fans in the UAE the opportunity to celebrate their favorite team’s victories with their favorite cupcakes just like we did during the last football world cup,” states Dalia Dogmoch, Chief Baker & Co-founder, Kitsch Cupcakes. Kitsch Cupcakes’ Euro 2012 fortunes will rely on the Red Velvets in the attack, Peanut-butter and Chocolate taking the mid-field while the stubborn Triple Chocolate will lead the defense. Kitsch Cupcakes' bench strength will also be in the limelight with the likes of Carrot Cake, Strawberry Vanilla and Sticky Dates as additional options for Kitsch’s fans. Can’t be bothered to drive? Customers can also place their cupcake orders and have it delivered to their doorstep by simply dialing Kitsch’s dedicated cupcake hotline 800 – CUPCAKE – it’s as simple as that! Celebrate Euro 2012 with the most delicious treats in town! Dubai, United Arab Emirates - 12th June 2012. Kitsch Cupcakes, one of the most established cupcake concepts in region, will be opening its first fully fledged cupcakes bakery in Riyadh later this month. The Kitsch Concept was founded in 2006 in Beirut by two childhood friends Dalia Dogmoch and Racil Chalhoub. After the success of the Kitsch concept in Lebanon, they decided to introduce it to Dubai opening the city’s first cupcakes concept in November 2008. In 2010, Kitsch Cupcakes opened their second branch in the Capital of the United Arab Emirates, Abu Dhabi before opening a third branch at the Dubai International Financial Centre. The branch in Kingdom of Saudi Arabia is set to be the first branch for Kitsch Cupcakes outside the UAE. 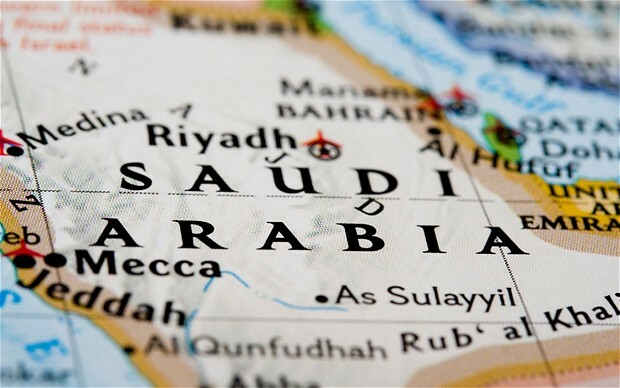 “We are very excited about opening our first branch in the Kingdom of Saudi Arabia later this month as we have a large Saudi-customer base in the UAE who have been asking us to open in the Kingdom of Saudi Arabia for such a long time and now the time has come,” states Dalia Dogmoch, Chief Baker and Co-Founder, Kitsch Cupcakes. Kitsch Cupcakes is renowned for their fresh and high quality cupcakes with ingredients imported from France and the United States. The concept is also famous for its delightful Red Velvet cupcake, which was rated as the best tasting cupcakes in the UAE by 3-Star Michelin and Celebrity Chef Marco-Pierre White. "The Kingdom of Saudi Arabia has always been part of our plans but it was important to open at there at the right time", adds Dogmoch. Kitsch will also be offering the first 100 customers to its store in Riyadh a special treat. "The first 100 customers will benefit from a special promotion where we will be offering them a free cupcake for every cupcake they purchase," reveals Dogmoch. The freshly baked delicacies are all set to attract children and adults of all ages across the Kingdom. Kitsch currently offers 25 different variants of cupcakes in two different sizes, bites and regular. Giant cupcakes are also available based on customer requests. Kitsch Cupcakes will also be offering celebration and wedding cakes, brownies, blondies, muffins, cake pops, cookies, homemade truffles and many other sweet delights! Kitsch Cupcakes will be located on Tahlia Street in Riyadh and home delivery service will also be available. Customers can contact Kitsch Cupcakes Riyadh on +9661 463 3838.